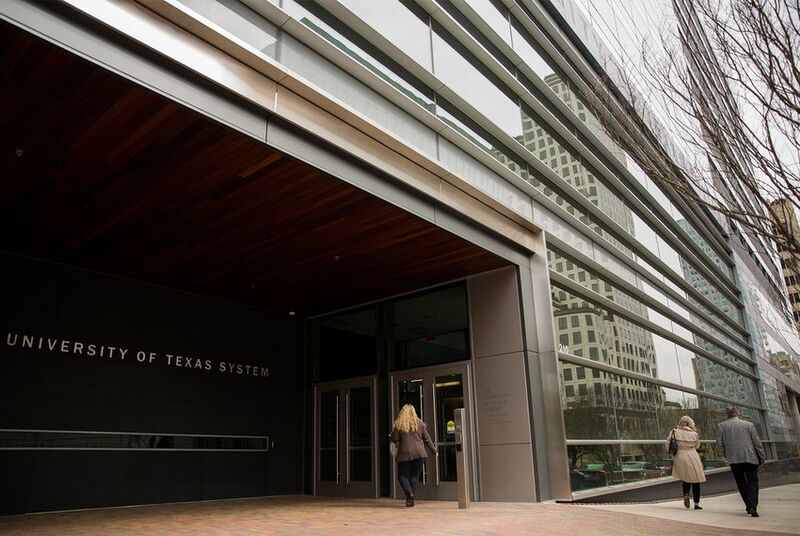 The University of Texas System has closed its Institute for Transformational Learning, a startup-like technology initiative. The system spent tens of millions of dollars on the project, but struggled to develop a business plan. After spending $75 million and struggling to create a signature product, the University of Texas System's Institute for Transformational Learning closed its doors last week. The decision follows a recent investigation by The Texas Tribune and Reveal that raised questions about the system's spending. The institute was created in 2012 under former Chancellor Francisco Cigarroa and the UT System Board of Regents. It was envisioned as a kind of startup technology company that would create digital learning tools like a platform for health education, online courses available to people around the world and an iPad app that would let students access course materials. The idea, said UT System spokeswoman Karen Adler, was to make "a UT education more accessible and more affordable." But the institute, which employed more than 50 people in the last academic year, had to scale back or abandon most of its original ambitions. In the last five years, it's only generated about $1 million in revenue. "Despite best efforts, [the institute] was unable to achieve important business benchmarks, and the decision was made to discontinue the program and allocations associated with it," Adler said. The institute was funded from the $20 billion pot of money called the Permanent University Fund, fed mostly by oil drilling revenue that has helped make the UT System one of the richest educational institutions in the world. Critics say the money from this oil fund, the value of which has skyrocketed in recent years, should go toward financial aid or directly to universities rather than expensive system endeavors like the institute. Last year, the system received $603 million from the oil fund and just $38 million went to financial aid. System leaders say the Texas Constitution limits how they can spend the oil fund. The institute's closure comes amid a broader conversation about the ambitions and spending of the UT System's administrative offices. Current Chancellor Bill McRaven promised to trim the budget last August, and the system's governing board seems poised to rein it in even further. A four-regent task force is studying issues like administrative bloat and is expected to articulate a far more restrained vision of the system’s role in the coming year. It was McRaven's decision to close the institute, though he has publicly defended it in the past. McRaven had asked the institute's staff to create a business plan not long after he became chancellor. But during his tenure, its annual budget ballooned to $25 million and was a driving factor in the growth of the system's administrative costs — prompting harsh questions from lawmakers and some system regents last year. McRaven plans to resign in May, citing health reasons. Steve Leslie, a UT System vice chancellor who had overseen the institute, also helped make the decision to shutter it. In an interview with the Tribune last year, he said staffers there had done important and innovative work, but he acknowledged some fundamental problems. The system had already set aside nearly $100 million for the institute — enough to cover annual tuition for about 9,000 UT-Austin undergraduates – before McRaven asked for a business plan. Leslie said at the time, "There probably could have been more efficient ways to get us here with less money." In a memo dated September 2017, he wrote that the institute's initiatives had mostly "proven costly and unsustainable." There's $23 million left in the institute's budget that will eventually be re-allocated, Adler said. Twenty-nine system staff members and 13 contract employees have lost their jobs as a result of the closure. About a dozen of those employees protested the closure or asked that it be postponed, according to emails the Tribune received in response to an open records request. A few worried the shutdown could hurt students who plan to enroll in a fully online cyber security degree program at the University of Texas at San Antonio, which the institute helped develop. But staffers also described a difficult work environment. "There has been a great deal of dysfunction resident within ITL for many months, if not years," one person wrote. Internal problems were so rampant, the person added, that the institute was unable to create a viable business plan or demonstrate the value of its work. Ultimately, the employees' appeals were unsuccessful. UT System Deputy Chancellor David Daniel responded to most staffers with a variation of: "With great appreciation for your service to UT System, especially as we prepare to close the Institute, I wish you well in your future pursuits." The institute didn't get all negative reviews, however. Molly Bray, a UT-Austin professor who has worked on developing online courses, said in an email that the institute's employees "were key in helping us think about how best to organize our program and materials for online delivery." She added, "We will miss working with the [institute]." The University of Texas System and the University of Texas at Austin have been financial supporters of The Texas Tribune, a nonprofit, nonpartisan news organization that is funded in part by donations from members, foundations and corporate sponsors. Financial supporters play no role in the Tribune's journalism. Find a complete list of them here.